The Point-in-Time (PIT) count is a count of sheltered and unsheltered individuals experiencing homelessness on a single night in January. The United States Department of Housing and Urban Development (HUD) requires that Continuums of Care (CoC) conduct an annual count of people who are sheltered in emergency shelter, transitional housing, and Safe Havens on a single night. CoCs also must conduct a count of individuals without shelter, every other year (odd numbered years). Each count is planned, coordinated, and carried out locally. The Housing Inventory Count (HIC) is a point-in-time inventory of provider programs within a CoC that provide beds and units dedicated to serve individuals who are experiencing homelessness, categorized by five Program Types: Emergency Shelter; Transitional Housing; Rapid Re-housing; Safe Haven; and Permanent Supportive Housing. This event is in partnership with Allen Temple AME. Come learn about resources in your area and get involved with the annual Point in Time (PIT) Count. Individuals at-risk for or experiencing homelessness will have an opportunity to complete an assessment that may qualify them for housing at no cost. This event is open to the community. Located at 404 Vardry St, Greenville, SC 29601. This event officially kicks off the PIT Count in Greenwood and surrounding counties. Come learn about resources in your area and get involved with the annual Point in Time (PIT) Count. This event is open to the community. Located at 929 Phoenix St. Greenwood, SC 29646. This event officially kicks off the PIT Count in Pickens County. Come learn about resources in your area and get involved with the annual Point in Time (PIT) Count. This event is open to the community. Located at 111 Hillcrest Drive, Easley, SC 29640. This event officially kicks off the PIT Count in Anderson County. Come learn about resources in your area and get involved with the annual Point in Time (PIT) Count. This event is open to the community. Located at 300 N McDuffie St, Anderson, SC 29621. This event officially kicks off the PIT Count in Spartanburg, Cherokee and Union County. Come learn about resources in your area and get involved with the annual Point in Time (PIT) Count. This event is open to the community. Located at 151 S Church St Ext, Spartanburg, SC 29306 . Interested in Volunteering for the 2019 PIT Count? 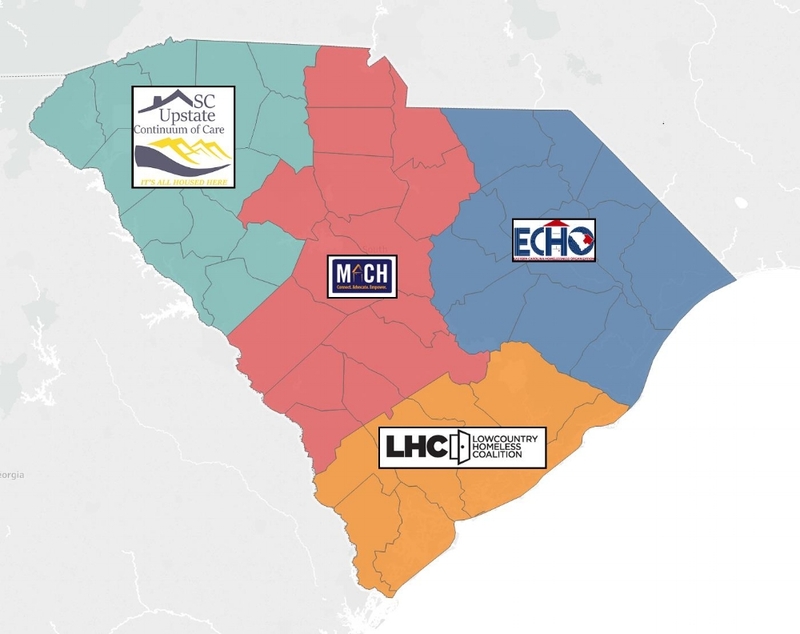 In South Carolina, all four of the state’s homeless program regions, called Continuums of Care, conducted a count of individuals and families who are homeless in their jurisdictions. South Carolina’s homeless population is not static; as of this report writing some of the people who were homeless on the January count date have found housing and others who had housing on the count night are currently homeless. The Upstate CoC serves the 13 counties in the Upstate. In 2018, 57 projects from 32 organizations participated in the PIT Count. In total, 1,185 individuals were reported homeless by the Upstate CoC. Please view the results from the 2018 PIT Count below. Results specific to the Upstate Continuum of Care can be found starting on page 34.